So you came home from Star Trek Into Darkness this weekend, and you were a little bit nervous. Maybe the movie didn’t live up to your expectations, and you’re suddenly concerned by what Trek director J.J. Abrams is going to do with his next project … you know, a little franchise named Star Wars. Will the same thing happen to Abrams’ Star Wars: Episode VII? I don’t think so. Neither does Angela Watercutter, who wrote a thorough piece for Wired explaining why Star Wars remains in good hands with Abrams at the helm. She falls back on a truth that has been iterated by Abrams ever since he took over the Star Trek series in 2009: The director’s more of a Star Wars fan that he ever was a Trek fan. If someone suggested to Abrams that Darth Vader be re-introduced into a new universe as a cool, aloof Brit, he’d scoff. But changes Abrams made to Khan angered Trekkies because they neutralized what could have been a stellar villain, if he were given the time to properly develop. The next reason why I think Abrams is better suited to Star Wars, and why I still have enormous faith in his Episode VII? Because Star Wars isn’t supposed to be as smart as Trek. It’s supposed to move fast, look cool, and deliver sci-fi thrills … everything Abrams has done with Trek to this point. Watercutter points to an appearance Abrams made on The Daily Show where he complained about Trek being “too philosophical for me.” This gets to the root of the divide between true Trek fans (who appreciate the subtle philosophical conundrums lacing through old episodes) and those who prefer Abrams’ fly-by-the-seat-of-our-pants approach to the series. No one will argue that Abrams’ Trek films are intelligent exercises in social or political commentary. But damn, are they fun. Where was I? Oh yeah, Abrams and Star Wars. Much like Watercutter, I’m convinced Abrams was the perfect person to return Star Wars to its place at the Big Boy Table when it comes to summer-action thrills. I don’t think those who disliked Into Darkness complained about its set pieces. The director can deliver on action, which is what the prequels lacked. You still need convincing? I have one argument. 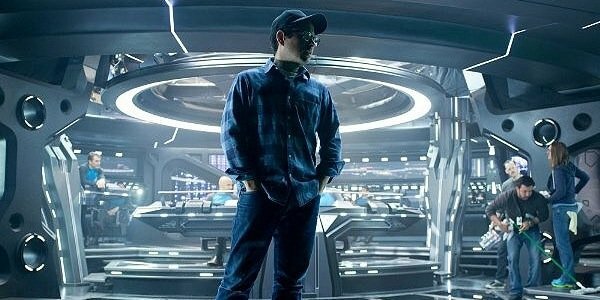 Star Wars has Oscar-winning screenwriter Michael Arndt in its corner, where Trek had Damon Lindelof, Roberto Orci and Alex Kurtzman. It’s a matter of taste, of course, but that superficially pits the writer behind Toy Story 3 and Little Miss Sunshine against the team that brought us the Transformers series and Prometheus. Which do you prefer? My prediction? Star Wars producers Kathleen Kennedy and George Lucas know that they have too much at stake with the next Star Wars movie, because if it fails, it will directly affect the future of planned spinoff features, television properties and novelizations. I think the creative team will pour every ounce of energy they have into making Episode VII a massive hit, and it will please casual fans and die-hards alike, the same way that Star Trek stimulated audiences in 2009. Then we can all start worrying about Abrams’ ability to deliver on Episode VIII.